This week on ‘The Writing Life of:‘ I am thrilled to be interviewing author Jennifer Gilmour. 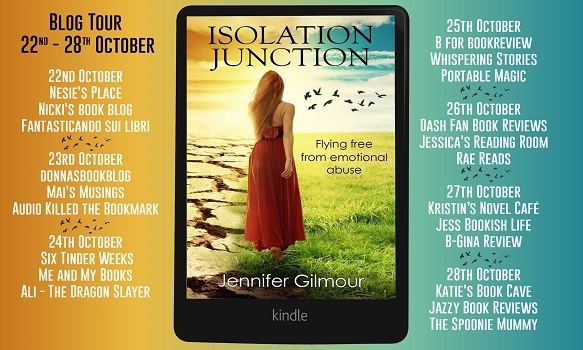 Jennifer will be sharing with us detail of her writing life, telling us all about her latest book ‘Isolation Junction‘, which was released on 22nd October 2018, and answering a few fun questions too. I wasn’t certain what I wanted to be for quite some time. I knew I had an ability to act, an ability to write and I was artistic. School were very encouraging of these areas that I did well in. I decided to go onto Acting as I was a film buff and I enjoyed being able to be someone else for a short period of time. I completed a National Diploma in Acting at Hull College and didn’t believe I would receive the grades I needed to make it into drama school so I booked on for a gap year which was with Oasis Trust and to do youth work in Leeds. That’s right. I loved it so much I went onto going to University to do a degree in youth work. At the beginning of High School I fell in love with the books by Louise Renninson I loved how real they felt and I related with the main character Georgia, the first in the series was ‘Angus, thongs and full-frontal snogging’. Louise’s books made me laugh, giggle and give me some confidence in myself as well. The author who stood out most to me though was JK Rowling and that’s because she created a new world for me in the Harry Potter series, this lead me through my childhood, teens, young adulthood and even now! I felt I grew with the characters and it became a place of escapism for me when I was unhappy in my years growing up. In short, I attended a recovery course which is for survivors to be able to move forward with their lives. It was a 14 week programme and by the end of the course I realised that others simply needed to know more about this unacceptable behaviour; they needed to see the warning signs before the relationship goes further or the behaviour gets even more serious. On the other hand I needed others to see the behaviour for what it is. If people are in a relationship and the behaviour within it is not acceptable and is not their fault, it can’t simply be changed by changing yourself. I knew that I had a story to tell and with my previous unfinished written work I realised my first novel had to be more than a book – it had to be a message – a way for others to be able to pass on the story to help other victims and to get the penny to drop and bring about realisation of what is happening sooner than it might otherwise have done. This means that when the relationship ends victims and survivors realise they are not the only ones out there and it is okay to talk about the abuse. Back then, it was an area I had no idea on how to access. I started with getting my story written and then what I could find out. I feel now that I am more equipped with knowledge on the industry and where to look then I did years ago. Perhaps this is like most that have decided down the route. I still have a lot to achieve with my dream, I wouldn’t say I am living it yet, but I will be. Having the confidence to follow it is certainly where most may stop after a while. To anyone thinking about becoming an author I would urge that you keep going through the hard times, as it will pay off in the end. I am rather organised but you wouldn’t think it if you saw the notes in my book, the notes on my computer/phone and the pages of pieces of work in different documents. I find it easier if I am working towards a deadline and usually under pressure. So, if I am working towards a deadline I will go to a coffee shop and sit there with the internet off on my laptop. I will simply write, type and I don’t review what I have written until I have gotten to the end. I will know roughly where I am going and what to include. I have to admit though my first piece of work I probably did everything you shouldn’t do in the process. I now am able to work efficiently and enjoy, rather then get confused. I did consider writing under a pen name especially because of what I was writing about. I knew in a sense it would leave a door open to being a victim of more abuse purely for the fact I decided to speak out against it. I decided not to because I wanted to be proud of my work and I knew everyone would figure out it was me in the end because I would be marketing my work. My books aren’t just what I do either and are a part of my work and journey. I can say that if my head isn’t clear I find it very difficult to write. When I first began to write I would clean the whole house, put dishes away, load the dishwasher, tidy up, hoover etc. I felt that if I was going to work at home I needed to have everywhere clear as it would play on my mind. That didn’t last long as it left me little time to write with three children to pick up from nursery/school so I learnt to either switch off and plan for tidy up later in the day or I would head to a coffee shop, I can’t escape from there in that case. I have my few notebooks that I depend on for moments of needing to write when out and about or needing to piece the plot together. But other then that it will be my computer, I am a fast typist and type a lot faster then my writing. I can type with my thought process, it doesn’t seem to lag behind. I used to have a typewriter when I was in my young teens and I loved it, I wish I had it now just to play with and perhaps use it for poetry and quotes. I have two published books but I have a lot of unfinished work. At the time of writing this I have a short eBook that is waiting to just have the once over and be converted, it links with my second publication Clipped Wings. I intend on this being a free book or the cheapest I can make it on Amazon to allow people to be able to read some of my material for little. I certainly have a lot of ideas, notes, plans and thoughts all mixed up together and thrive with deadlines to be able to achieve what I need to do. Probably going against all the rules here but I feel like I am a bit of both. I have that plan in place and have it set out as to where the characters are going in the plot but then I can be typing away and something will come to me, my imagination will take over and decide that it’s not going to be as simple or it’s going to go in a different direction. I like how that happens but sometimes it can be rather frustrating as it then means I have to go back to my plan. Perhaps I shouldn’t plan in that case? You have got me thinking now. I do read reviews and keep an eye on any new ones. I keep more up to date when a book has been recently published and I think that is most likely the same for other authors. Regarding negative comments, originally I found it difficult because the subject is very close to home. As time has moved on and my writing has improved as well as my personal circumstances and recovery, I am able to take the negative feedback constructively and on board. However not that of trolling and personal attacks, I find this more difficult because I worry is what the reader thinks; however my first experiences lead to them being intrigued and having more downloads of my book. I understand that not everything is everyone’s cup of tea, just the same for me. I am able to remember this at times of reading negative feedback. I guess its being a bit of a journey because I originally published in October 2016, back then the abuse I had gone through personally was still raw and there were certain aspects I couldn’t write about. The re-publication has given me chance to fill in those gaps, be able to express feelings and even find the right vocabulary to allow the reader to understand as well. It feels like a bit of a long journey with ups and downs but I think readers will understand why the changes were made and the greater depth was needed once they read the second edition. My main character is Rose and I gave her this name for a few reasons; 1 – It was the name I had always wanted to be called when I was younger, 2 – It fit with the image I had of her in my mind – The idea of a Rose strangled by the thorns of her abusive husband Darren. A few of the characters have personal reasons attached to them and so I will mention this one, Harrison in the book is Rose’s son. Harrison was the name of my angel baby, I couldn’t think of any other name for Rose’s boy other than this. It may seem unusual but it gave me a chance to keep his memory alive in a different way. Rose used to have some confidence in herself, in the way she dressed, in her look, in her personality and even choice of friends. Rose would thrive in social settings but Darren has deprived this from her. However you do see Rose’s social self come out when she is with a new friend that she makes, they go and enjoy some speed business networking. Ultimately her children are what keep Rose going and striving to keep her sanity. The love for her children are the anchor to her heart. It is a scene early on in the book and it’s one of the first experiences of Darren’s behaviour towards Rose. Darren loses his patience with Rose when he demands answers from her, the situation escalates quite fast and Rose is confused by it all. It left Rose feeling very unsettled and questioning herself, there was some mild violence but Darren had intent. I found this very difficult to write because there were many times in my past relationship to where this would be the case, I never knew whether I was coming or going, whether I had done the right thing or not, I didn’t know how to adjust my reactions to keep the peace. It makes me feel sick thinking about how I was treated when I look back at it, no one should ever have to feel trapped and that they have to change almost every aspect of themselves for someone else. You are not the problem. You are not at fault. You are not to blame. This one was a tricky one because I had so many thoughts, at one point I had a big piece of paper with words all over the place. I wanted to describe a place you don’t want to be or want to visit. With the help of my husband and a family member we all fell in love with this title and one which I plan to evolve in terms of using a destination for the rest in the series. Watch this space. No, I intended on doing this but it wasn’t the right time for the person I wanted to read it and so I went with my editor at the time’s thoughts. I was worried about what anyone I knew would think because it is close to home and some of them had a feeling of guilt because they felt they couldn’t help me. If I had the connections I do now back then I would certainly have passed it over the eyes of a few people on the outside of that personal level. At the time I knew nothing about the industry and nothing about getting books published. I therefore followed the guidance of my old editor. I was delighted with managing to achieve publishing a book on my own and it opened many doors. I self taught myself and tried to get to grips with the systems. Soon enough I find myself seeing what I could have done and what I should have done, but like anything it is a learning curve. Cried, more with relief. I found it therapeutic to write this book and I knew it could help others that are in a similar situation. At the time I was glad it was out onto paper – so to speak. I had some champagne with my husband and we both celebrated together, it was certainly a time I won’t forget and a pinpoint in the beginning of my journey. I need to crack on with the next book that follows on from Isolation Junction. I am also working on a children’s book, I have the profiles and the plot, it’s just the case of getting it together and sorted out. I also have two free eBooks I would like to publish in the near future and it links in with both of my publications. Chocolate. If only it didn’t have the amount of calories it holds, I have always been a lover of chocolate since my younger years. One of my favourite times is Easter because I like to break the Easter egg in half and use it as a spoon for my porridge in the morning. If it’s not Easter I like using a chocolate bar like a biscuit and dip it in my cup of tea. The Greatest Showman, In fact I have done because my three children are in love with the songs in this film. I personally love it because I feel I can relate to it and it tells you never to give up, accept who you are, love who you are, believe in yourself and you can achieve anything. That’s a hard questions as I have a few favourite songs that I go to and for different reasons but lately I have been listening to Tokyo Myers. My husband and I went to see him on his tour earlier this year, the atmosphere was intense and everyone just wanted to experience his music. The song I love to listen to the most of his is ‘BloodStream’, I feel I connect with it, I encourage you to listen to find out. A house, well I guess it would probably be champagne to celebrate at first. But a house is what I would look to buy, after years of paying the debt of a financially abusive relationship and the cost of leaving it has delayed making that purchase (I won’t bore you with the details), I am happy to say that our hard work is paying off and we became debt free earlier this year. We only want house for that sense of security and to be able to make it our own, I know this is a lot closer than I think so we keep working towards it. You can find out more about Jennifer Gilmour by visiting the website/social media sites below. I would like to say a big thank you to Jennifer Gilmour for sharing with us details of her writing life, and for a wonderful interview. 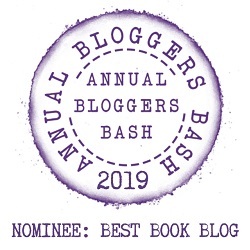 It is wonderful to feature you on the blog. I loved your answers. Thank you. She seems very interesting and thoughtful. She really is a lovely woman. I agree, sometimes women and men just need a helping hand and to be told and shown they are worthy of living a life away from violence. Unfortunately, from what I know places such as domestic violence hostels are closing down all the time. Shame as more should be done to help women (and men in the same situation). Thanks Mary, I’m sure Jen will appreciate your words. Great interview! I’ll have to check out this author and her newest novel. I love your post! Great interview. A great interview dealing with a sensitive topic with care. Thanks Heidi. Agree about the chocolate. Wonderful interview. Loved the Fun Part. Thank you. The fun part is the best. Wonderful interview and I am hearing great things about Isolation Junction. Great review and interview, Jennifer Gilmour is a new author to me. Thank you so much for sharing your awesome post.